Please call for a competitive price on rebuilding your Hardinge lathe. 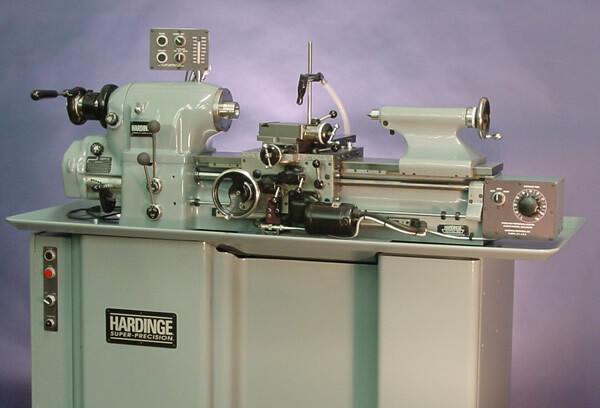 Our scope of work for rebuilding Hardinge lathes has past the test of time. Although we rebuild other types and large sizes of machine tools, Hardinge remains our most rebuilt and remanufactured precision machine tool over the past 31 years. Cavco Does not reccomend retrofitting small tool room lathes with cnc controls. We can give you an instant price over the phone (quantity discounts available) and follow up with a detailed quote outlining everything we do and replace. We offer dedicated trucking on the east coast and have rebuilt Hardinge lathes that have been trucked in from all over the country. The photo above is of one of three rebuilt for a local customer, an example of what you can expect when your Hardinge HLV is returned.